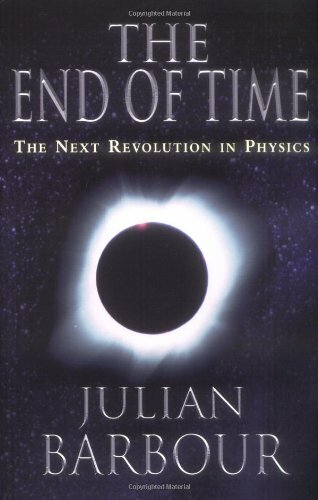 In a previous incarnation of this website, I rashly promised ‘Coming soon: a review of The End of Time by Julian Barbour’. Well here it is. Now you may not think of several years as being soon in this context, but if you read this book then maybe you will change your opinion. Barbour is claiming that our experience of the flow of time is an illusion, that all that we truly experience are instants. You may think that the 'now' you are currently experiencing is related to a 'now' of several years ago by your experience of several years of time flowing in between, but Barbour says that you have no real evidence for this flow of time - all you have are memories which are part of the current 'now'. Other evidence of the passage of time from then to now is of the same nature as your memories - it is part of the present. Barbour calls such a collection of things in the present which indicate that time has flowed a 'time capsule' - records of the past which are part of 'now'. The first part of the book takes a very simple universe with just three particles, making a triangle. Barbour shows how a configuration of such a universe can be represented as a point in a hypothetical space, Platonia. There seem to be pages and pages of triangles, but its worth sticking with it as it makes an important point. Barbour goes on to consider what is intrinsic to the configuration of such a universe, and how change might be represented. This leads on to philosophical questions of absolute versus relative space and time. Issac Newton assumed absolute space and time, but since then many scientists and philosophers have felt such an assumption to be unnecessary, and Barbour explains their ways of getting rid of it. We then have to consider how modern physics describes the real universe, which is via relativity and quantum theory. No prior knowledge of these subjects is assumed - the central part of the book is devoted to explaining them. This is well done, with plenty of diagrams to guide the reader along. Indeed the book would be admirably suitable for someone wanting a gentle introduction to these areas of physics. There is a slight problem in that Barbour's explanation of his own ideas is left dangling while the reader is taught about these subjects (and I feel that there are some threads that aren't picked up again afterwards), but overall I would agree that it's the right way to arrange the book. The latter part of the book gets back to Platonia (this time consisting of 'nows' of the actual universe), and discusses how this philosophy fits in with other ideas of modern physics. As I see it there are two serious problems with Barbour's philosophy. Firstly relativity. This says that that there is no unique way to match 'now' here with 'now' somewhere else in the universe - one can have many different spacelike hypersurfaces going through the same event. Barbour's way of dealing with this is ingenious but not wholly satisfactory. Since each such hypersurface is as good a 'now' as any other, he includes all of them as points in Platonia. This means that the 'now' which you are currently experiencing is not part of just one element of Platonia, but of many ,which I feel to be wrong - to my mind Platonia is somewhat bloated as a result. Just as in the Many Worlds interpretation of Quantum Mechanics I think that mathematical fictions have been substituted for reality. The second problem is the question of how small an instant is. Normally the time coordinate of a system is represented by a real number. This is reasonable if you want to do calculations, but philosophically there is no reason to accept that there is such a thing as a single point of time, with uncountably many such points in even the smallest interval. This seems to be the point that Peter Lynds is making - there is no such thing as an instant. Confusingly, some people seem to think that Barbour and Lynds are saying similar things. I think that they're saying the opposite, and it's not surprising that they had a disagreement when they dined together. (Actually I think it's more likely that Barbour, who is highly knowledgeable in the philosophy of physics, became irritated with the brashness of Lynds) I've written elsewhere of the problems with Lynd's ideas , but on this point I would side with Lynds - any philosophy which requires a particular structure for time at the lowest level is suspect. Despite the problems mentioned above, I feel that Barbour has presented a valid way of looking at the nature of time. The book is well written - Barbour is clearly an experienced writer. In fact you've probably already read words which he has written - he's translated quite a bit of the German scientific literature of the early 20th century, including some of Einstein's work. I've suggested above that this book is suitable for those wanting an introduction to quantum mechanics and relativity. Other readers may be interested in the discussion of the ideas of philosophers such as Mach and Leibniz. And even though many won't agree with them, Barbour's ideas are a significant contribution to the philosophy of time. All in all I think anyone with an interest in in the nature of time will find this a rewarding book to read.